Enjoy a delightful day in the square Sunday Morning CHEZ MOI. ♥ Texture-change options: Change the colors of the park bench. 7 combinations to choose. ♥ The park bench comes with prop as popcorn, guitar, juice, chess, crossword puzzle and pen. Poses for couples in love and for friend to enjoy a nice day. ♥ You can turn on or off the light of the street lamp. 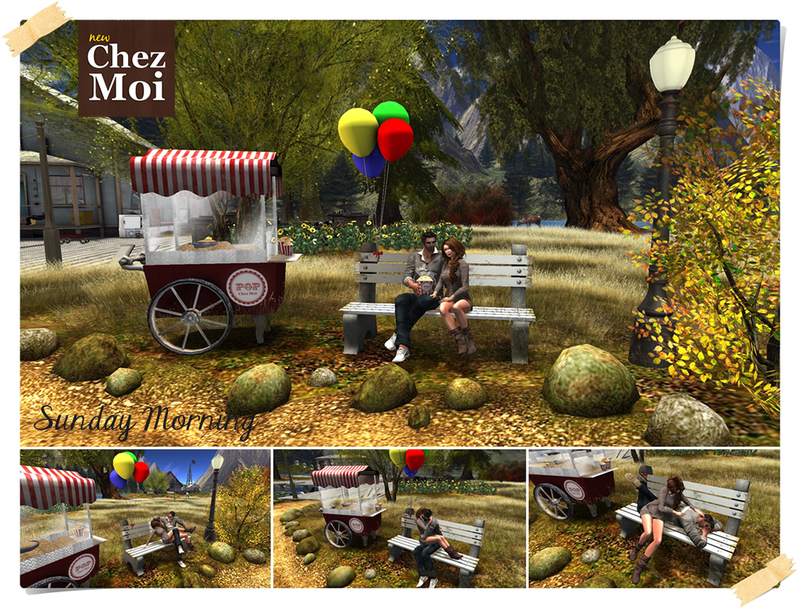 Check more informations in CHEZ MOI MARKETPLACE or, for a closer look, visit the INWORLD STORE.